When the mercury drops below freezing, many of us prepare for four months of Netflix, hot toddies and excessive heating bills. We avoid spending time outside at all costs, save for that one warm-weather Caribbean getaway. 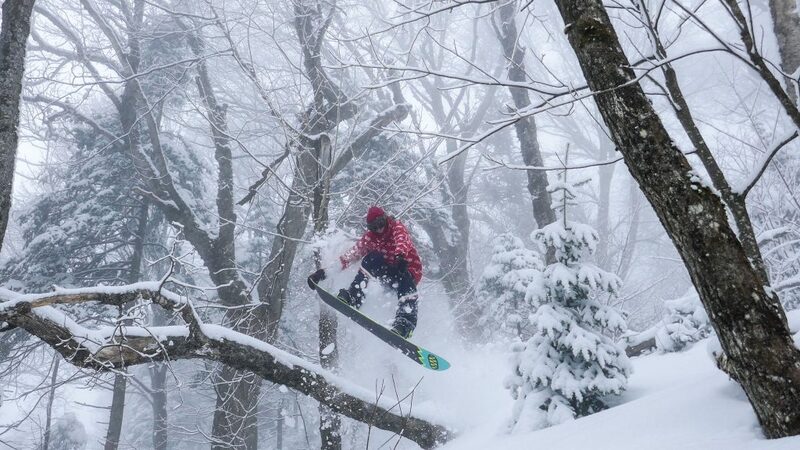 To put it lightly, sometimes New York doesn’t seem like the best place to spend winter. But that doesn’t mean there aren’t cities out there that are just as enjoyable—if not more so—during the winter as in the summer. 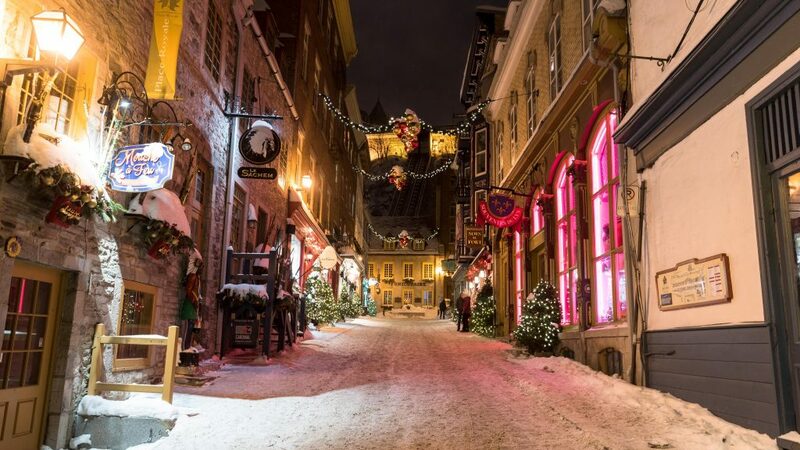 In Quebec City, the snowy cobblestone streets of North America’s last remaining walled city are accentuated by festive lights. Locals stand around an outdoor bonfire, chatting in French. The aroma of hot coffee wafts from inside the European-style cafes. While Quebec is a great year-round destination, winter is when some of the city’s finest attractions come to life. Here are a few reasons why you should brave the cold and head north this winter. 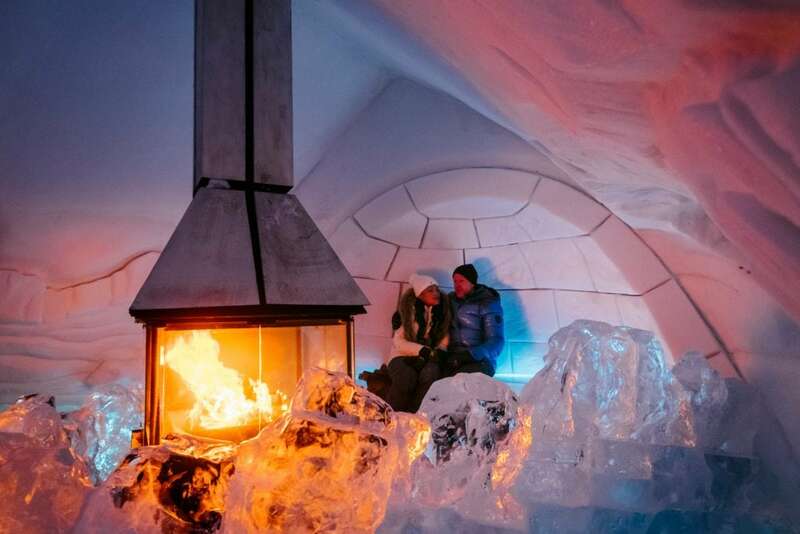 Hôtel de Glace is a hotel made entirely of ice and snow. 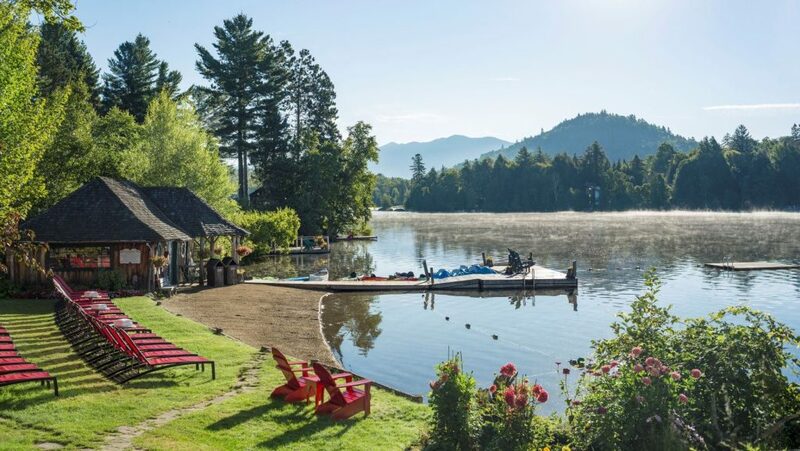 The hotel is the only one of its kind in North America, and one of only a handful in the world. Its 44 rooms and suites are re-designed each year to meet a specific theme, and some of the suites even have their own fireplace. But what doesn’t change is the fact that everything—from the beds and nightstands to the bar and glasses you drink from—are made of ice. The best way to experience the hotel is to spend a night, but there are also day tours available if you’re not quite ready to sleep on a frozen bed. 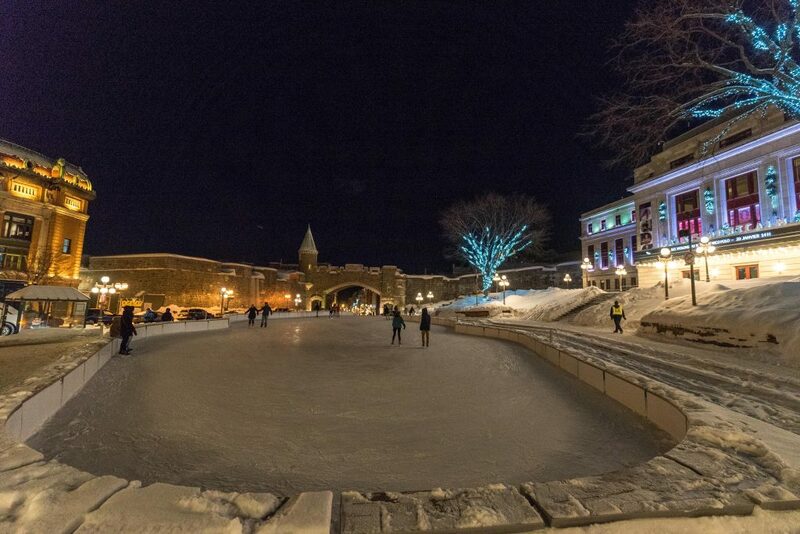 From mid-November to mid-March, Place D’Youville offers free ice skating just outside the walls of Old Quebec. There are rental skates available on-site for $8 if you don’t happen to have your own. And when it’s time to warm up, head over to the nearby Café-Paillard for a hot cup of soup or cocoa. 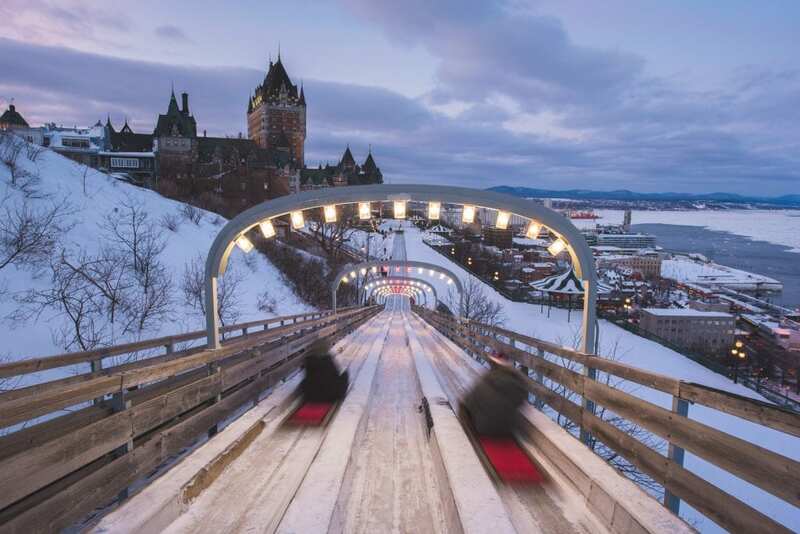 Located on the Dufferin Terrace alongside the iconic Château Frontenac, the more than decade-old Au 1884 toboggan slide is said to be the oldest attraction in Quebec City. Visitors pull a wooden sled uphill before sliding down one of three aisles of ice, often reaching speeds up to 70 kilometers per hour. The slide is usually open from mid-December until mid-March, but the season is dependent on weather. Rides cost $3 per person or $10 for a group of four. A slide and hot chocolate package is also available for $7. You don’t have to catch a flight to Alaska and join the Iditarod to try dog sledding. Secrets Nordiques offers a variety of dog sledding packages at Mont Sainte-Anne. 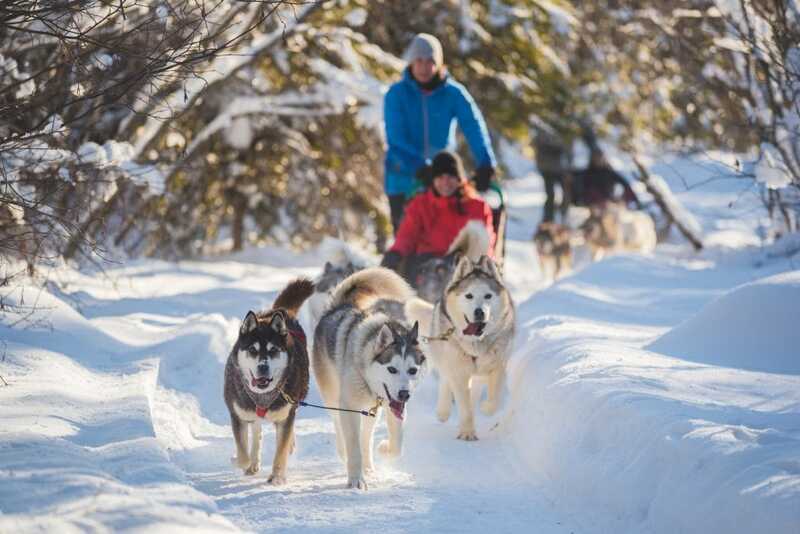 Learn to drive your own team of huskies before embarking on a two-hour journey, or spend a full day learning what goes into dog sledding, from hitching your sled and packing gear to breaking down at the end of the day. Each winter, the 41-meter tall Jean-Larose Falls freezes into a solid cascade of ice—perfect for rappelling down. 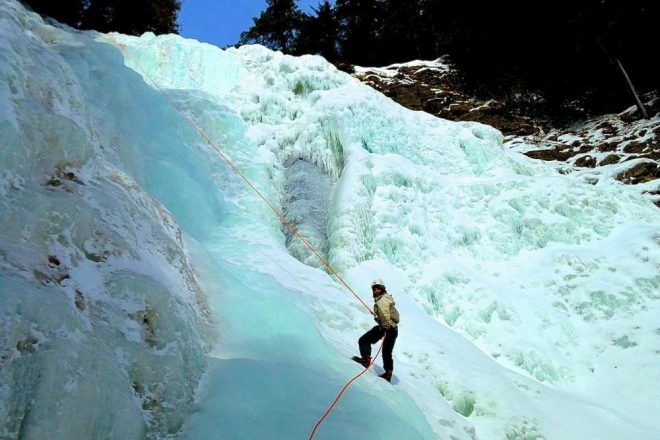 Canyoning-Quebec offers guided ice canyoning trips in which you actually strap crampons (spikes used for traction and climbing steep ice) to your boots and use a rope and belay device to walk yourself backwards, or “rappel”, down the frozen cascades. Before attempting the rappel, your guides will teach you the technique and allow you to practice on a gentler slope. 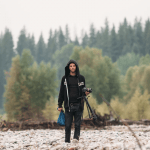 Conveniently, the meet-up location is inside the lodge at Mont Sainte-Anne. For its 65th consecutive year, Quebec City will be hosting the Quebec City Winter Carnival—one of the largest in the world. From February 8 through February 17, thousands of visitors enjoy a variety of winter-specific activities, such as an ice canoe race on the frigid waters of the St. Lawrence, night parades through snow-covered streets, electronic dance parties, snow sculptures, ice skating and more. The focal point of several activities is a grand ice palace that is built each year for Bonhomme Carnaval—the ambassador of the winter festivities. 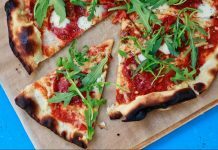 Get here: Many airlines offer service from John F Kennedy International to Jean Lesage International in Quebec City and United offers non-stop flights from Newark. While flying is the quickest option, Amtrak’s Adirondack Train offers service from Penn Station to Montreal. From there take the VIA Rail to Quebec City. The commute by train takes approximately 14 hours, but the train ride is part of the experience! 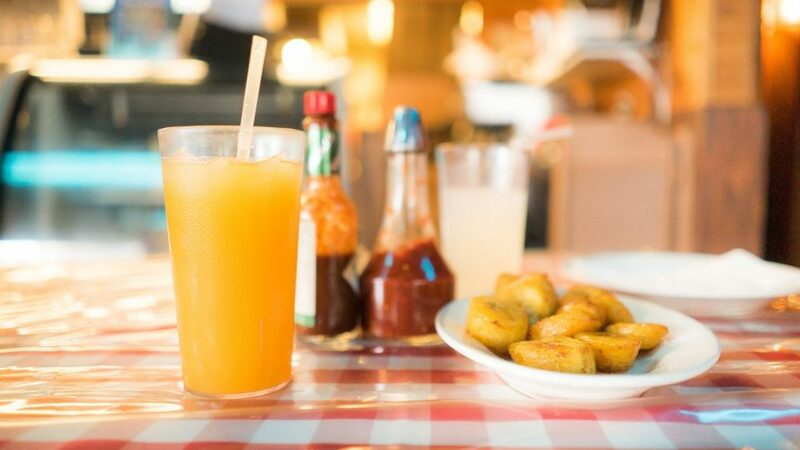 From the airport, catch a taxi or Uber downtown. There are plenty of trains, buses and shuttles to get you around the city when temperatures are too cold to walk.